Fall has already arrived. Whilst the yellow leaves start falling, let’s get prepared for a grand Halloween this year. 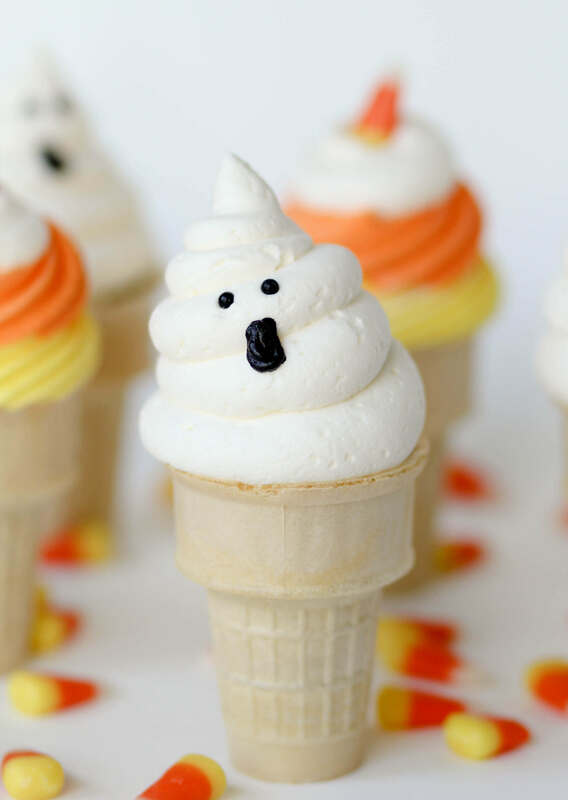 Be On Track has come up with yummy Halloween Food ideas to make Halloween 2018 a memorable event for you. Check out our fantastic Halloween Decoration Ideas, Halloween Dress for Kids and Halloween Movie Marathon Ideas to spice up your Halloween Party. 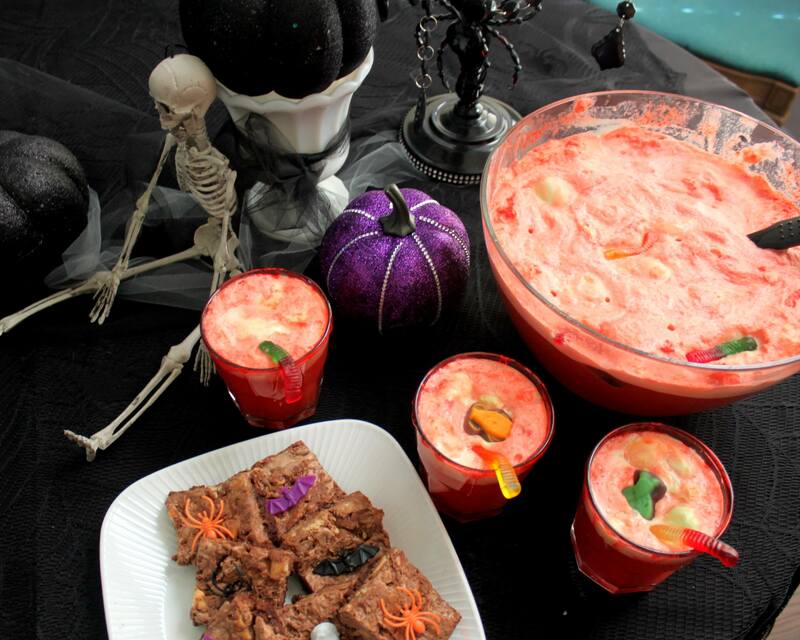 Food and drinks are an indispensable part of a Halloween. 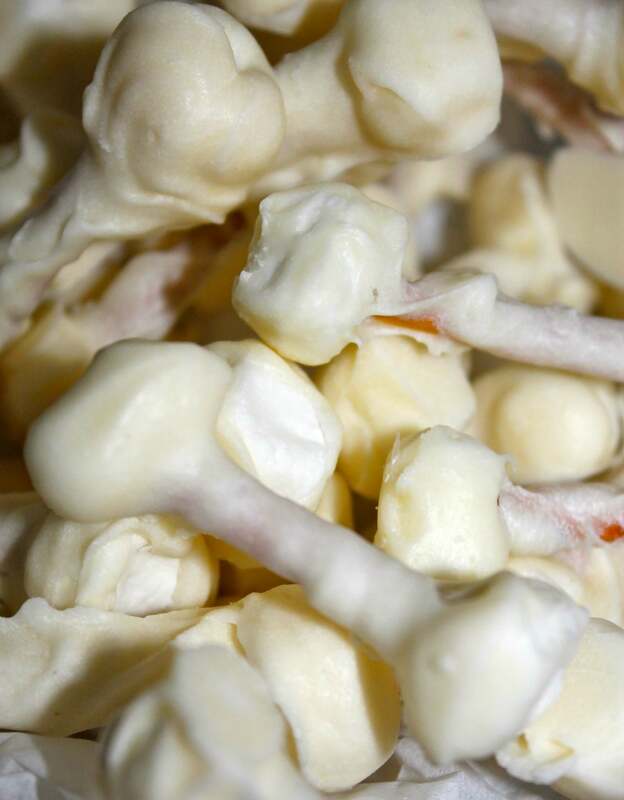 Kids and adults enjoy the flavors of pumpkin and chocolate with equal fervor. 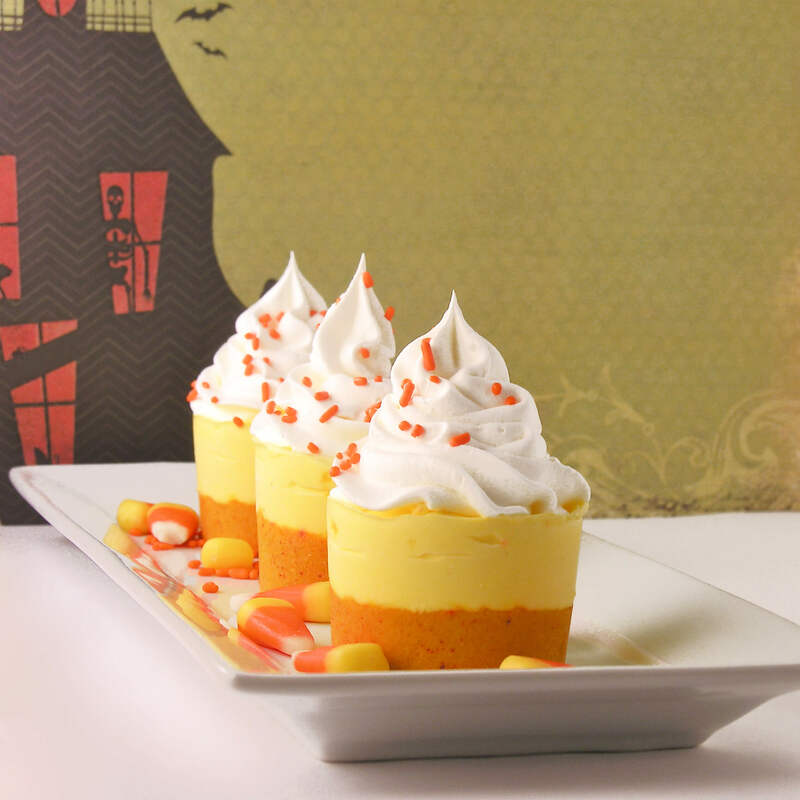 Nonetheless, Halloween recipes deserve some awesome Halloween theme presentation as well. 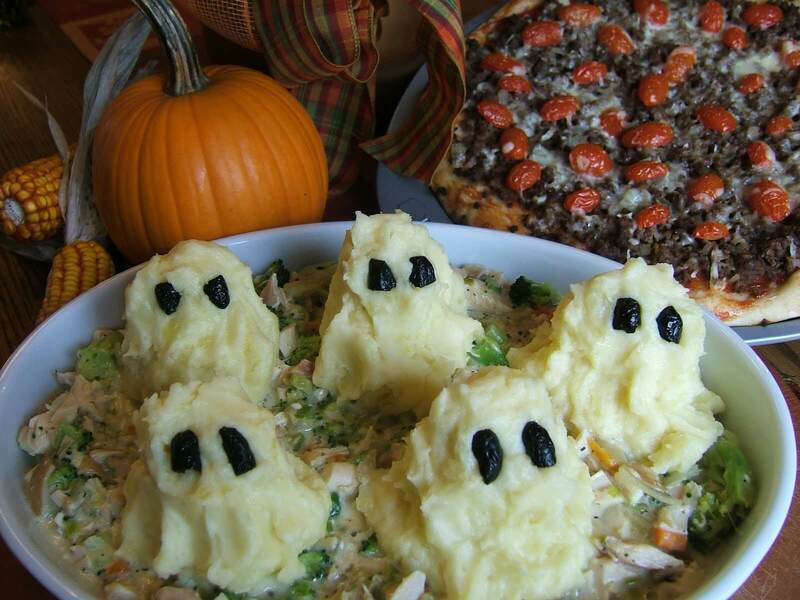 Here, we bring you incredible Halloween food ideas to help you serve food with style and completely Halloween way. Don’t forget to click on the links to check out the recipes. 1. 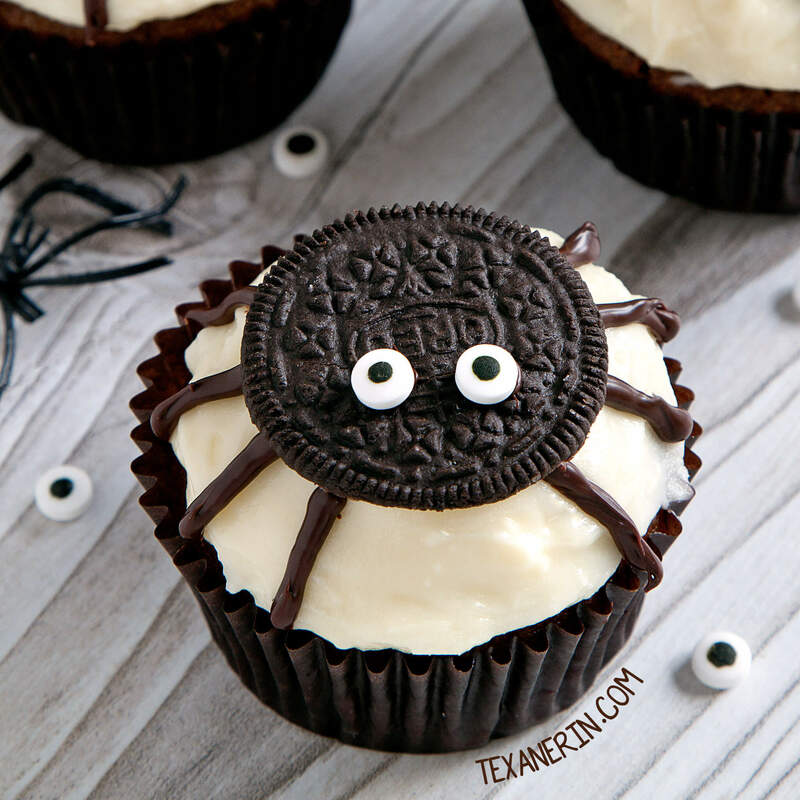 Add this beautiful Spider cupcake on your Halloween Food list. It takes a few minutes to decorate a cupcake in this spider. 2. 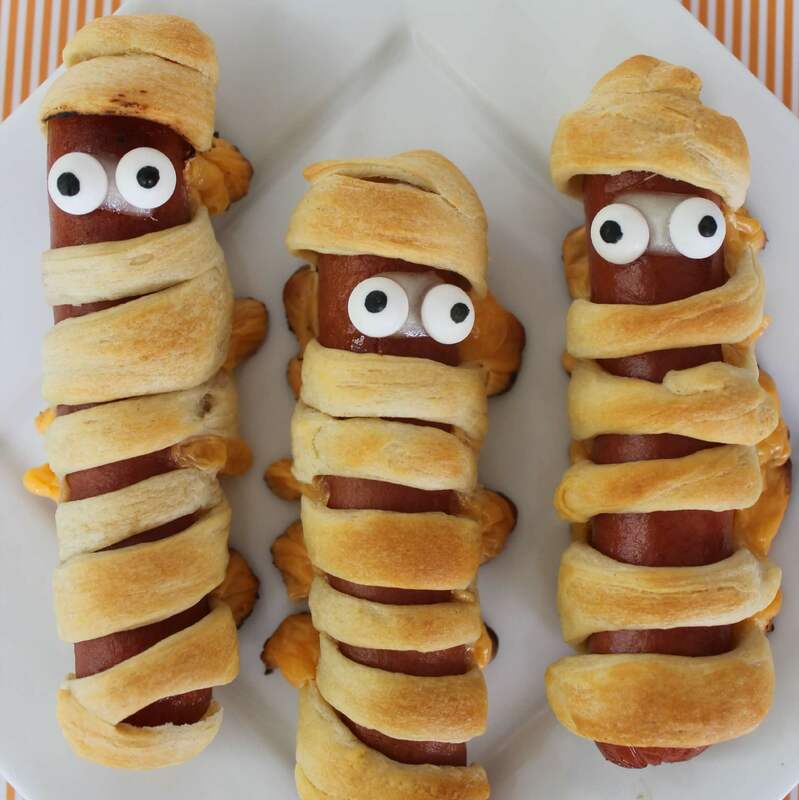 These creepy Mummy hot dogs are perfect Halloween special food item. 3. Halloween is without a bat is unimaginable. 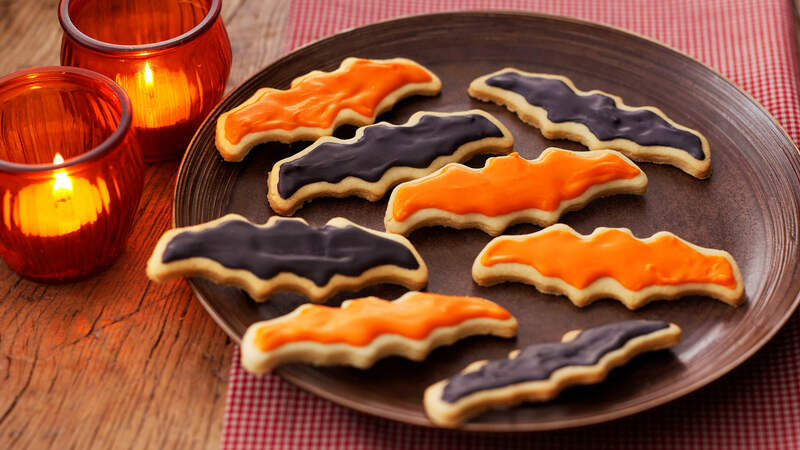 Bring these Bat-shaped biscuits to your Halloween table. 4. Spooky Ghost Blistered Cheeseburger Pizza is a cute and creative Halloween food idea. 5. 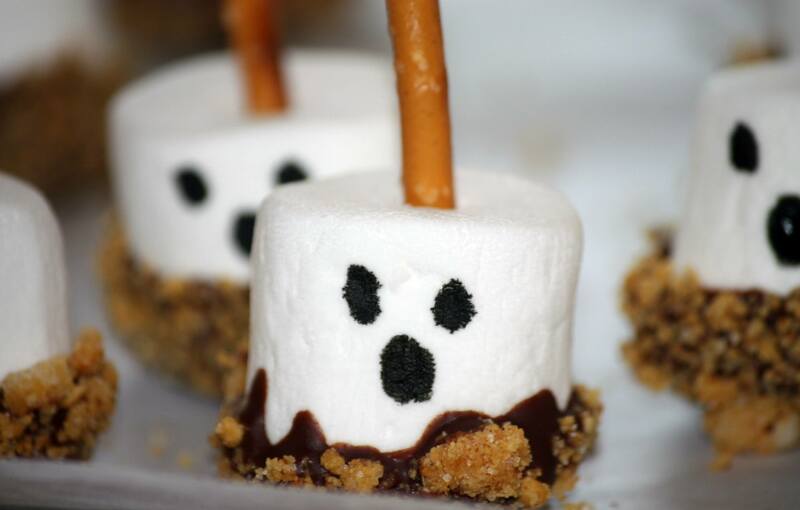 These Funny Bone Marshmallow will help you enhance your Halloween mood. 6. 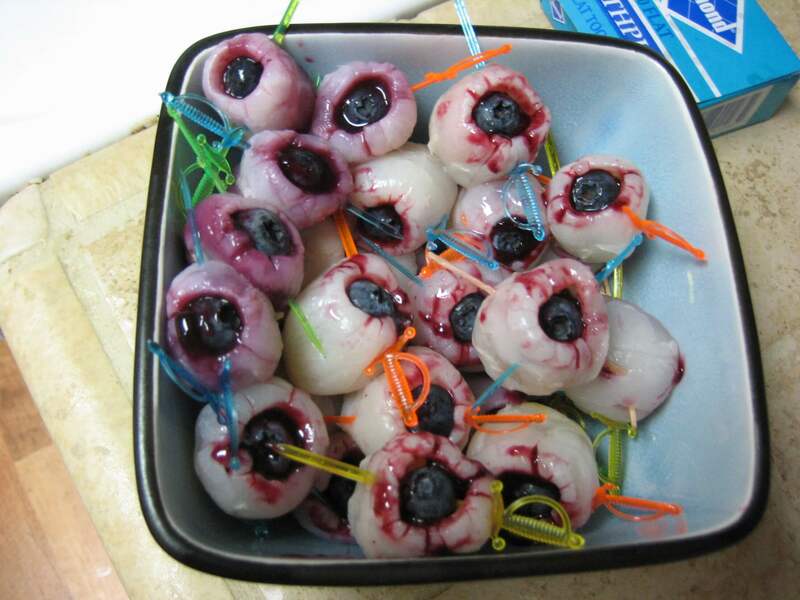 This Creepy Lychee Eyeball is one of our creepiest food items on the list. 7. 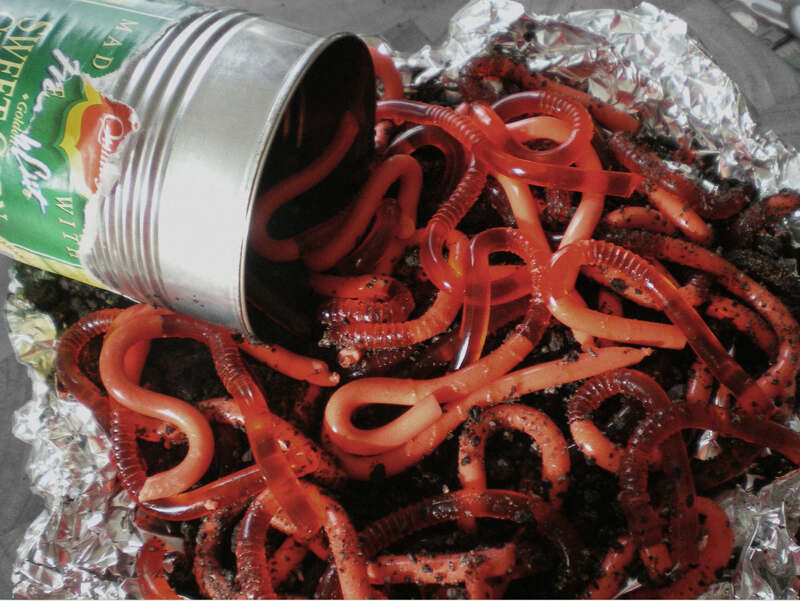 Creepy, cute and chaotic: these Gelatin Earth Worms are great Halloween food idea to take up this Halloween. 8. 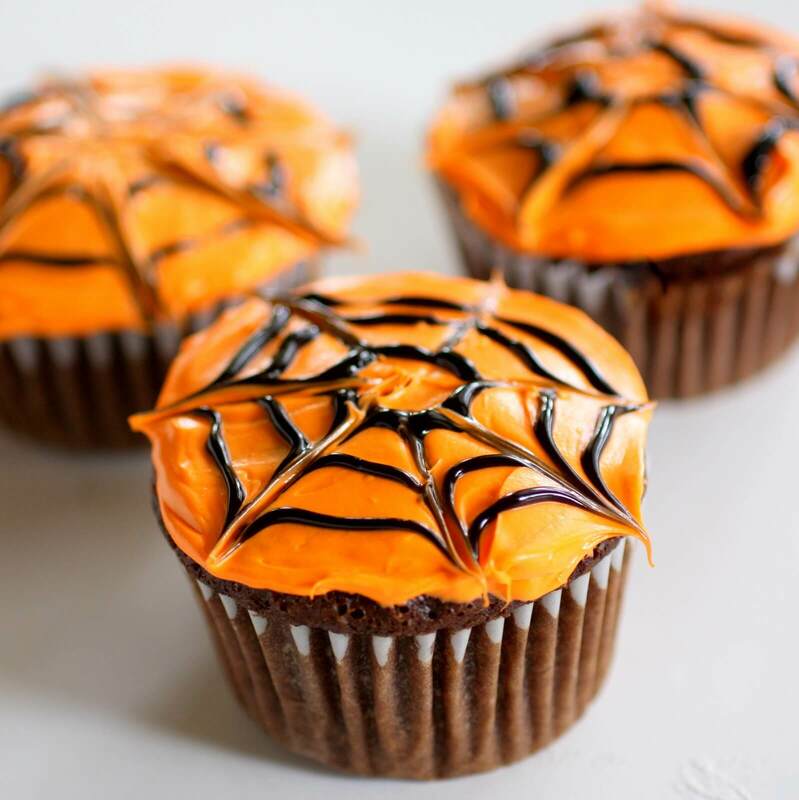 Spider Web Cup Cake is easy to make and fun to eat. 9. 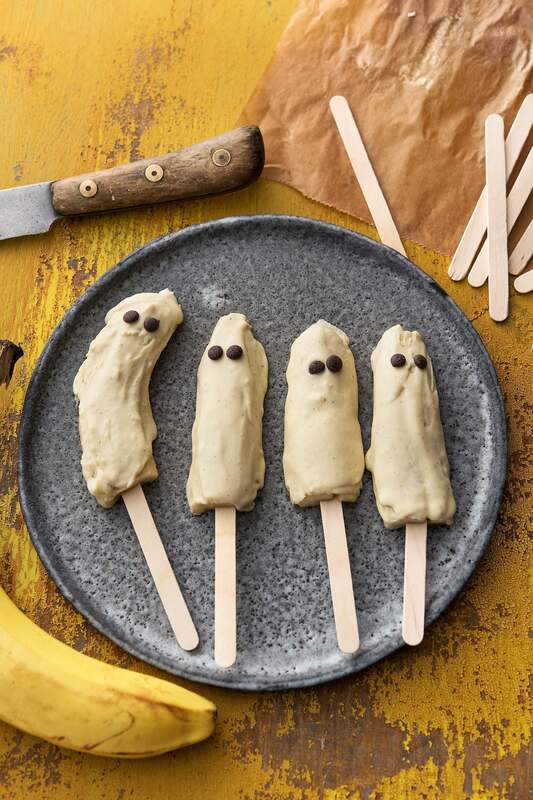 This yummy Banana Ice Cream will melt the heart of the little monsters on this Halloween. 10. 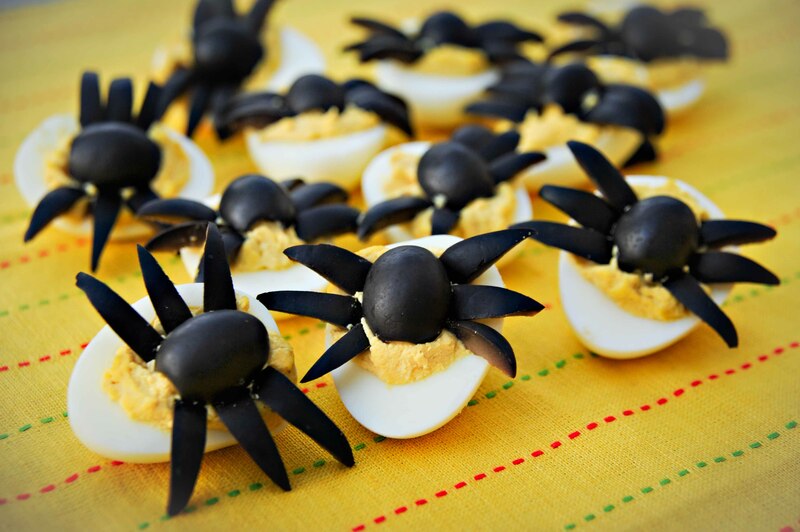 Bring in some Spider Deviled Eggs and boost the spooky quotient of your Halloween treat. 11. 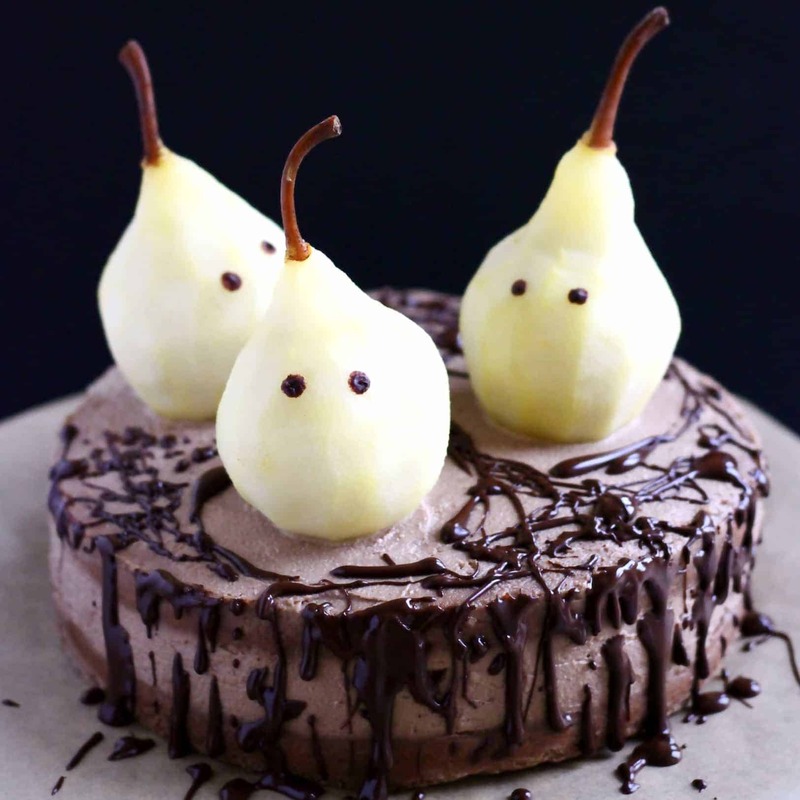 This little Gluten-Free Vegan Ghost Cake is so adorable that you can’t ignore it. 12. 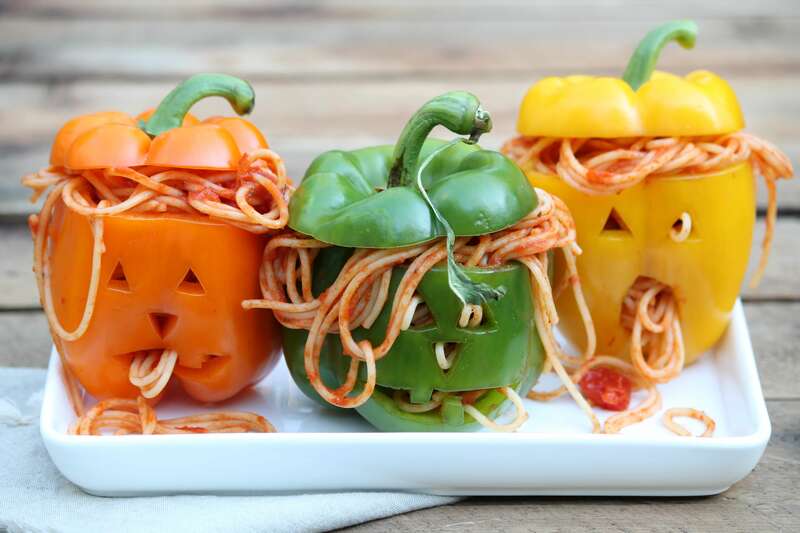 Spooky Spaghetti Stuffed Peppers are a fun and creative way to add some Halloween element to your party. 13. Not just your outdoor decoration, your dinner table looks magnificent with a tombstone graveyard. enjoy some Hot Spinach and Artichoke Dip this Halloween. 14. 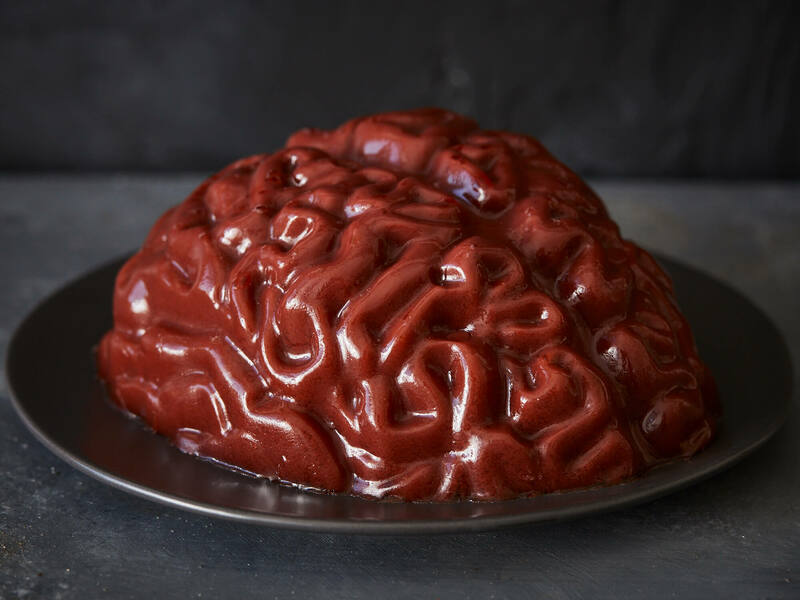 This gore and creepy looking Brain Gelatin can be the showstopper for your Halloween luncheon. 15. 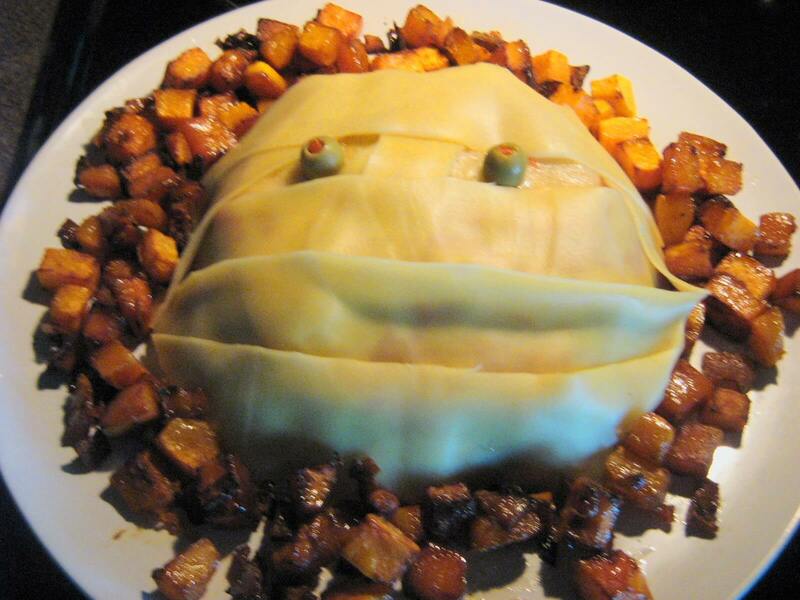 Place Mummy Meatloaf at the center of the table and let your guest admire it. 16. Have you ever imagined a pasta ogling you? 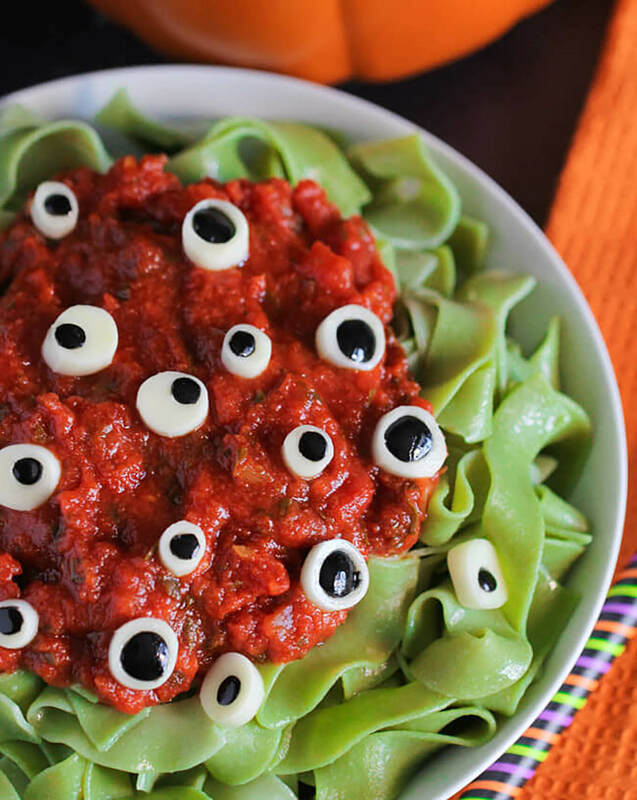 well, you can try this Halloween with the Eyeball Pasta. 17. Add these adorable Owl Cupcakes on your Halloween table for a delicate treat. 18. 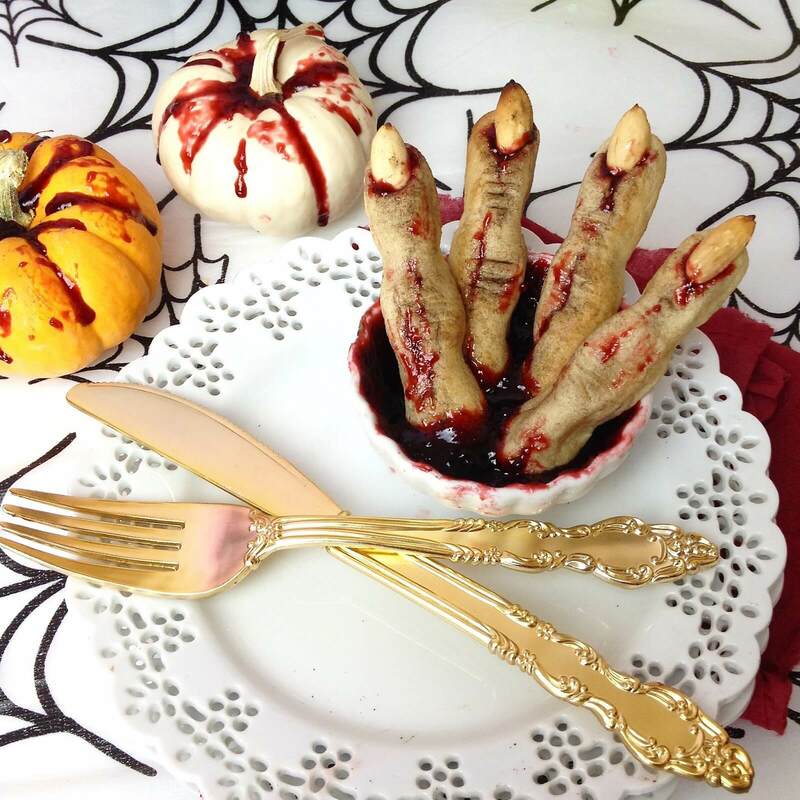 Little creepy and spooky Severed Finger Sugar Cookies are fantastic to jazz up your Halloween for adults. 19. 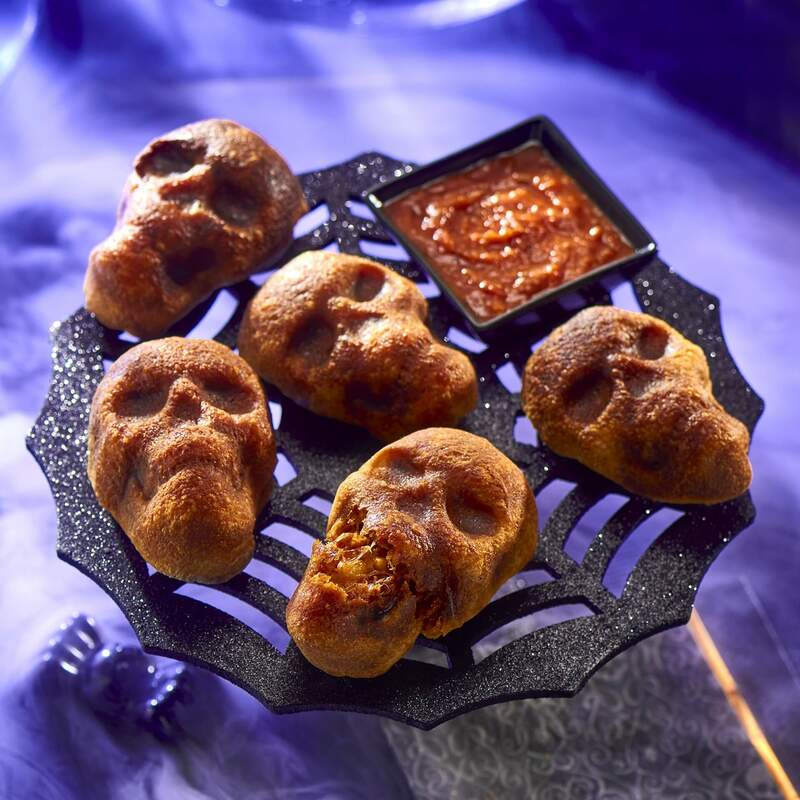 Another creepy and Spooky option for your Halloween treat are these Cheesy Skulls. 20. 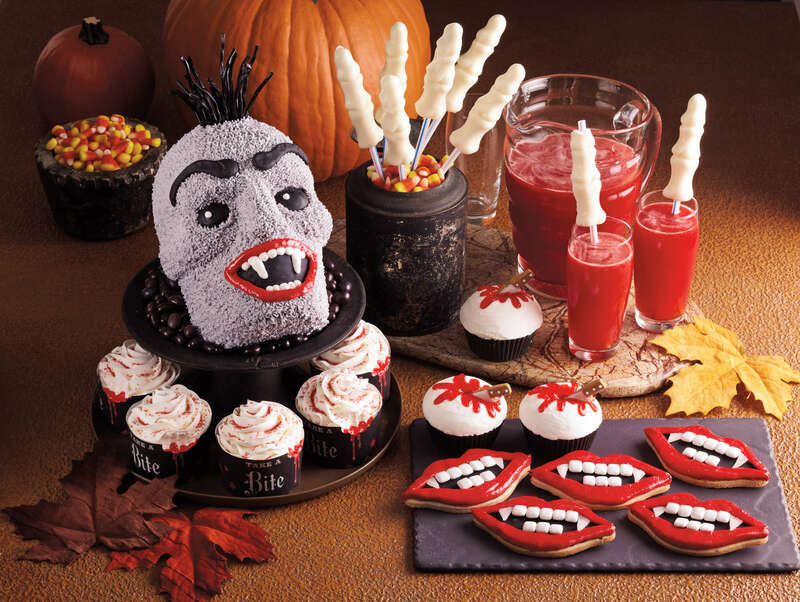 Enjoy your Halloween dinner with these Vampires Invaders. 21. A complete Halloween Tablescape Ghost Skeleton is nothing short of a Show-stopper. 22. 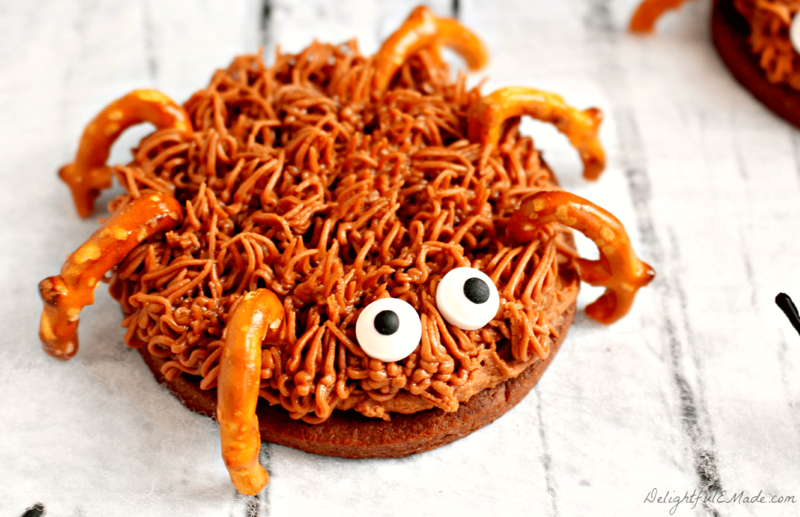 An interesting and charming way to serve cookies on a Halloween – Chocolate Sugar Cookie Spiders. 23. 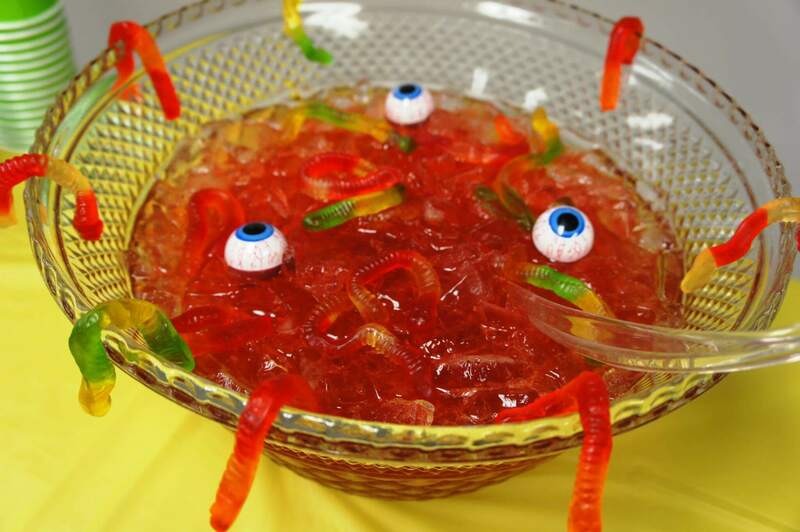 Drinks can be equally creepy and creative like this Scary Halloween Punch. 24. 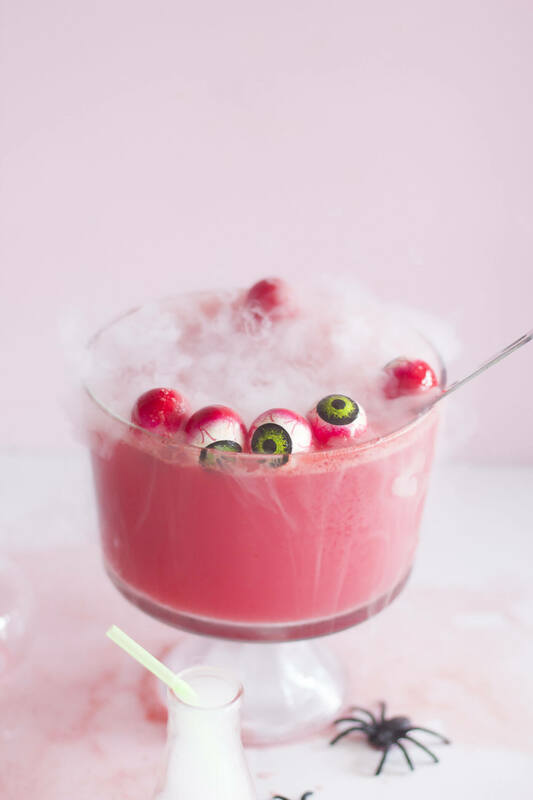 Creepy Halloween Punch with Floating Eye Balls is a blend of eerie presentation and tantalizing flavors. 25. 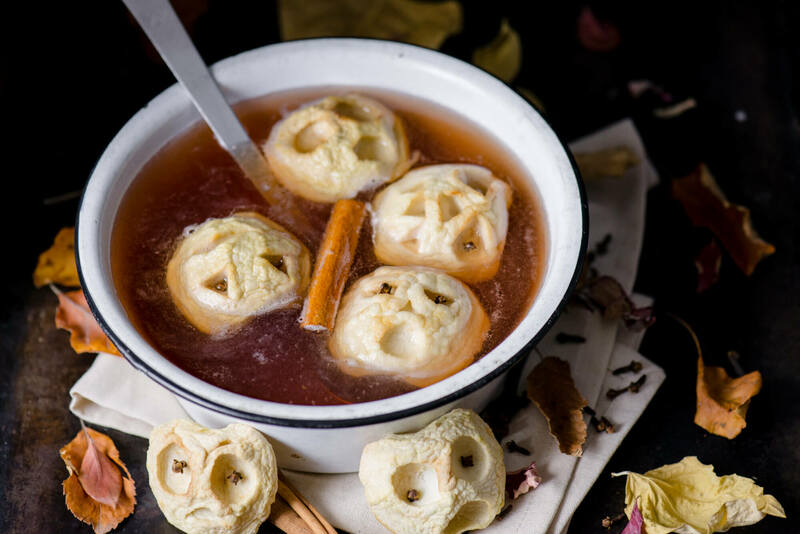 Spooky Apple Cider Punch is easy to prepare and looks impressive. 26. 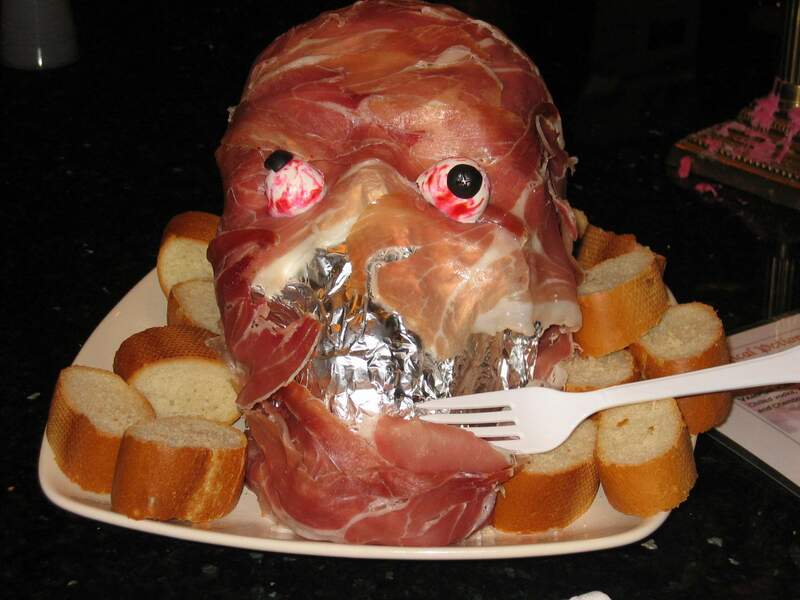 This ghoulish Prosciutto Ham Head & Pillsbury Spooky Finger Breadsticks is a perfect choice for a Halloween gathering. 27. 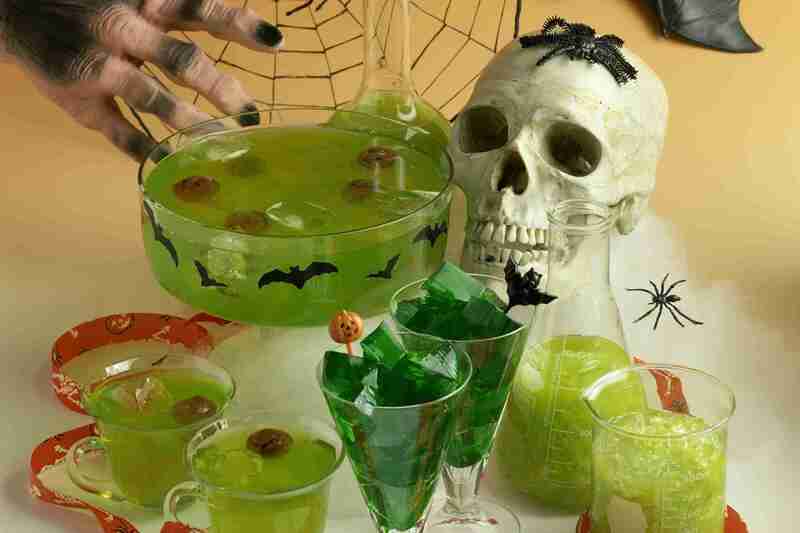 Simple, delicious and attractive Halloween Punch Recipe With a Floating Brain looks spooktacular. 28. 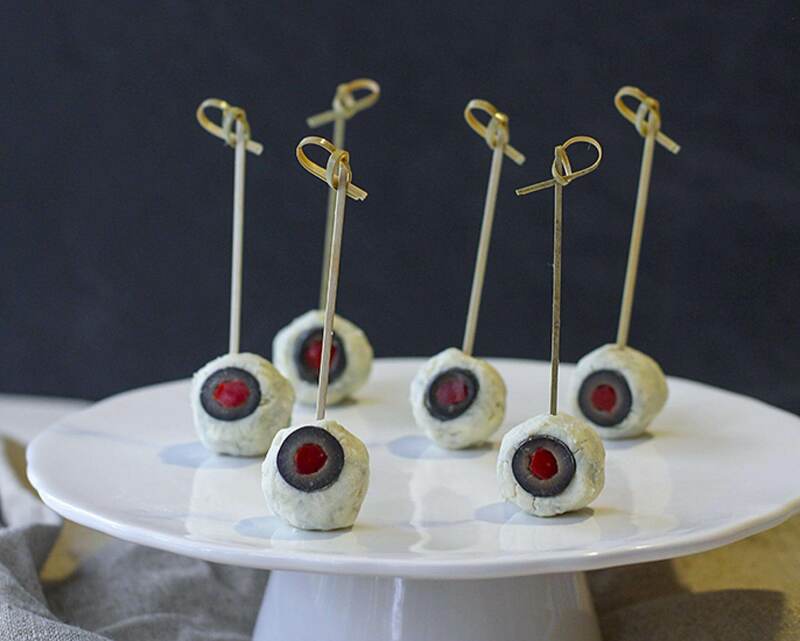 Summon your appetite this Halloween with this Eyeball Cheese Appetizers. 29. A combination of Batty Candy Bar Brownies & Punch is complementary to each other. 30. 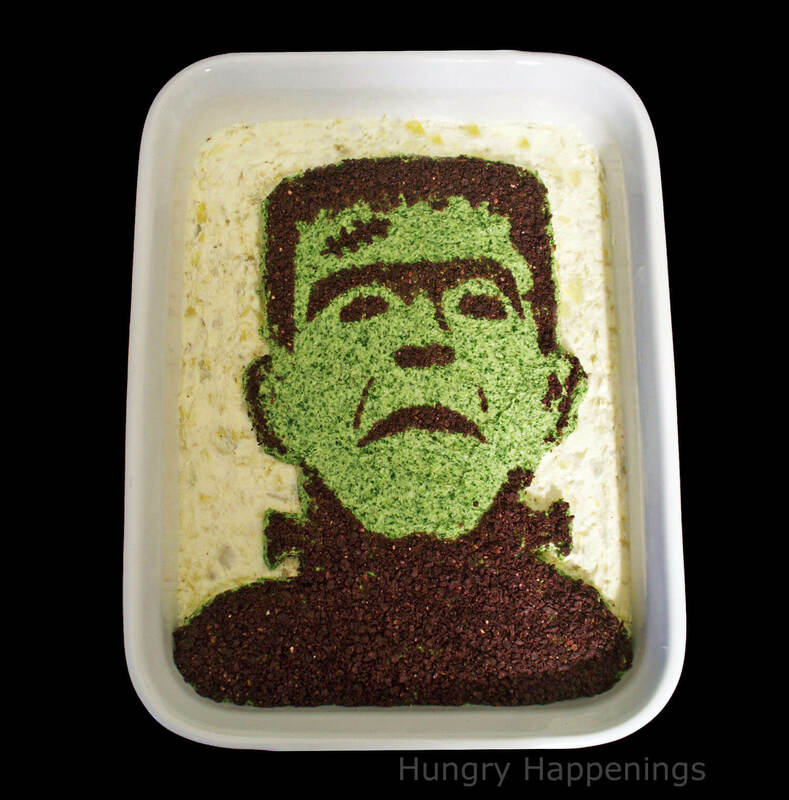 Frankenstein Spinach and Artichoke Dip is an appealing way to present dips on Halloween. 31. 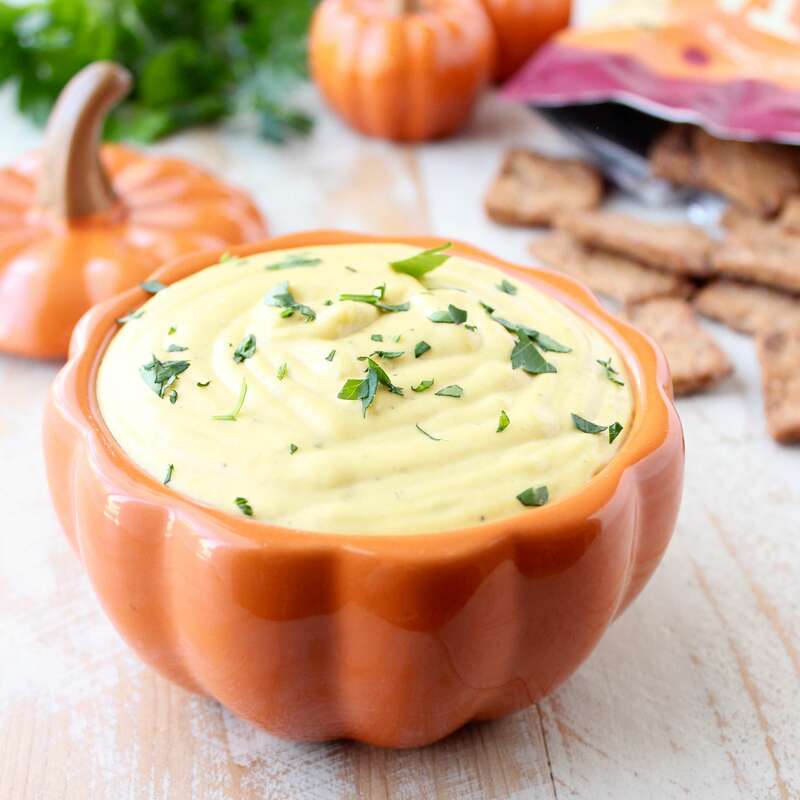 Jalapeno Pumpkin Dip is Another attractive presentation style for Dips. 32. 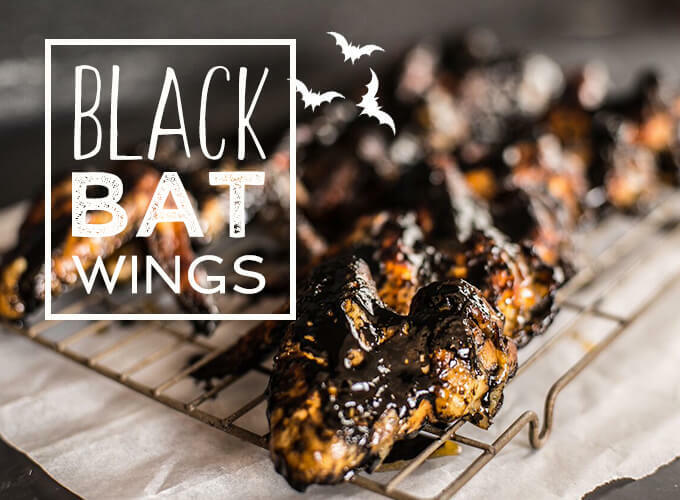 Prepare Chicken wings like Black Bat Wings to spook up your Halloween. 33. 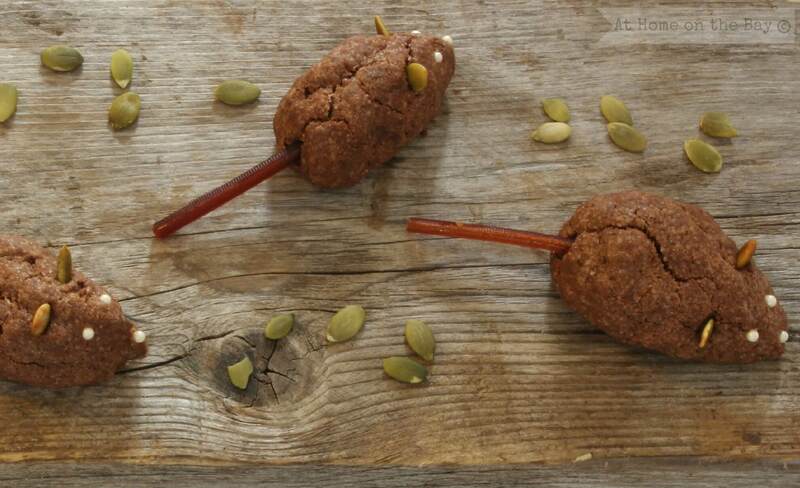 Quick and easy Mummy Sandwich Kebabs. 34. 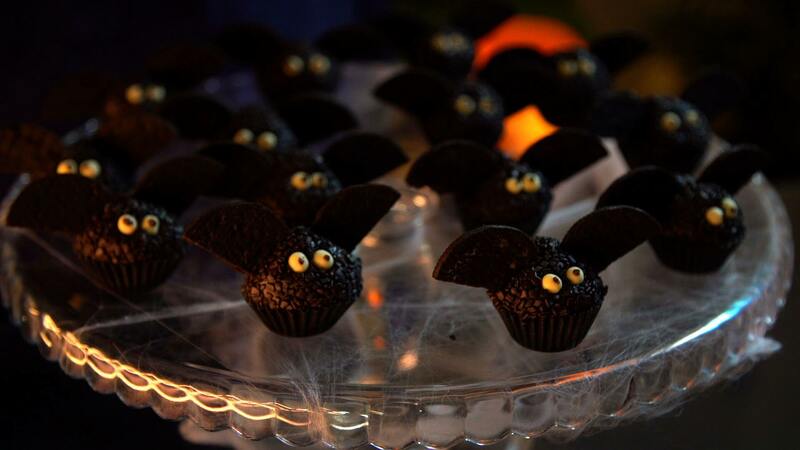 Bat “Brigadeiros” looks stunning and mouth-watering at the same time. 35. 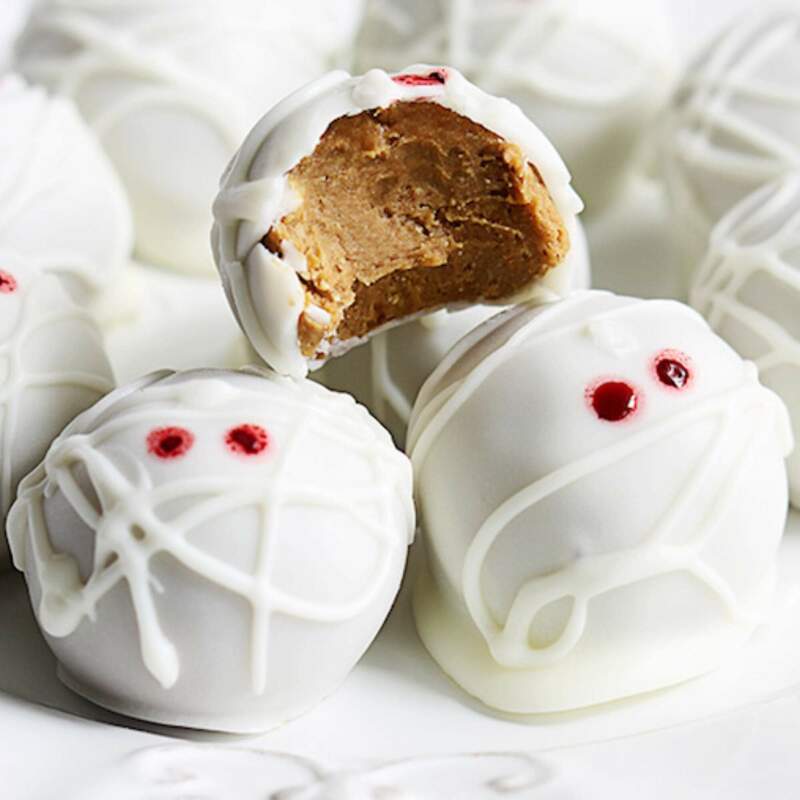 Pumpkin Cheesecake Truffle Mummies are among one of the striking Halloween food ideas. 36. 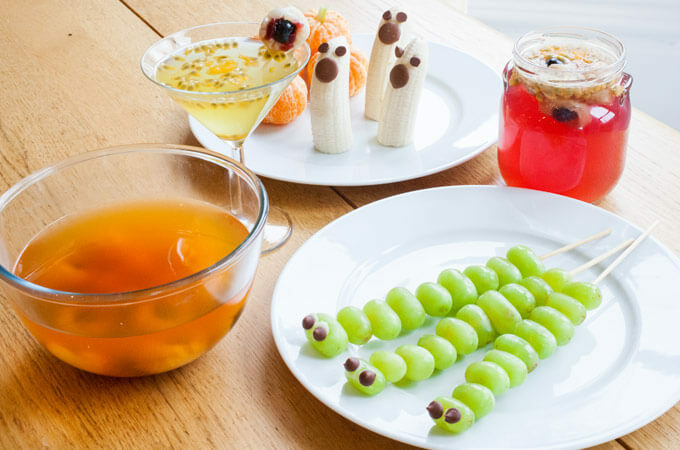 A Selection Of Healthy Halloween Foods Including Jelly Bananas And Grapes. 37. 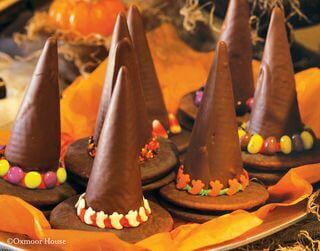 Witch Hat Ice Cream and Cone is a handy and easy Ice Cream presentation style for Halloween. 38. 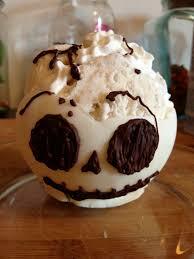 Ice Cream with Edible Skull Bowls for Halloween looks enthralling. 39. 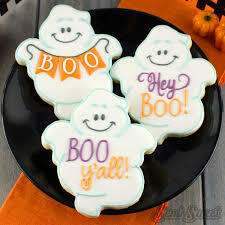 Cute and fluffy Ghost faced cupcake look delicious on your Halloween platter. 40. 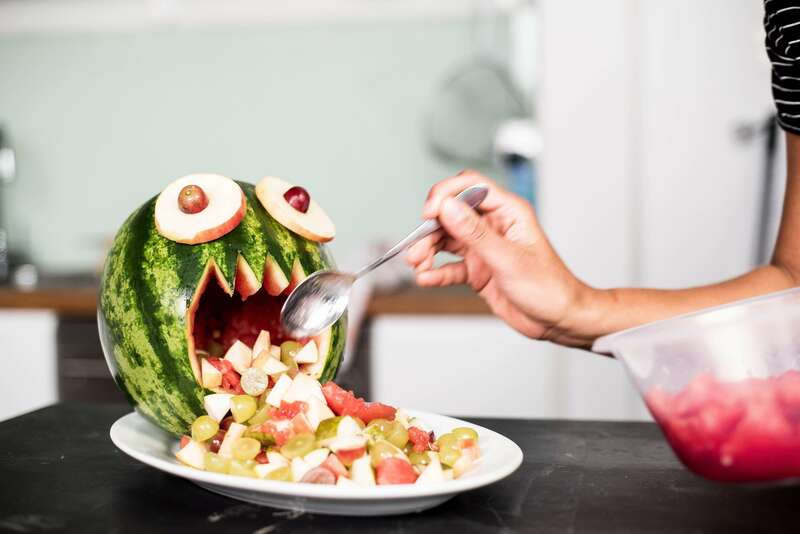 A Watermelon Salad decoration is an innovative Halloween food idea to present salad. 41. 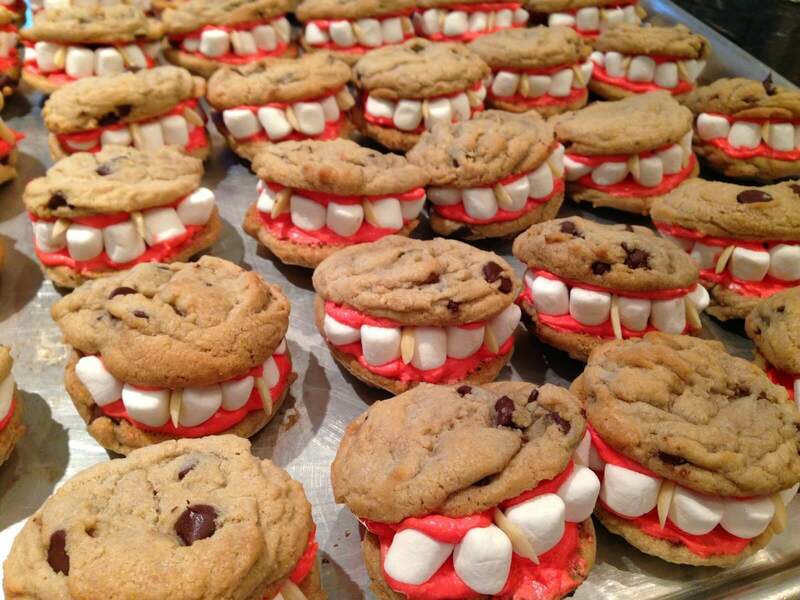 Cookies with Monster Teeth Marshmallow is a great recipe for Halloween. 42. White Chocolate Spiderweb Cupcake is easy to prepare and easier to serve. 43. 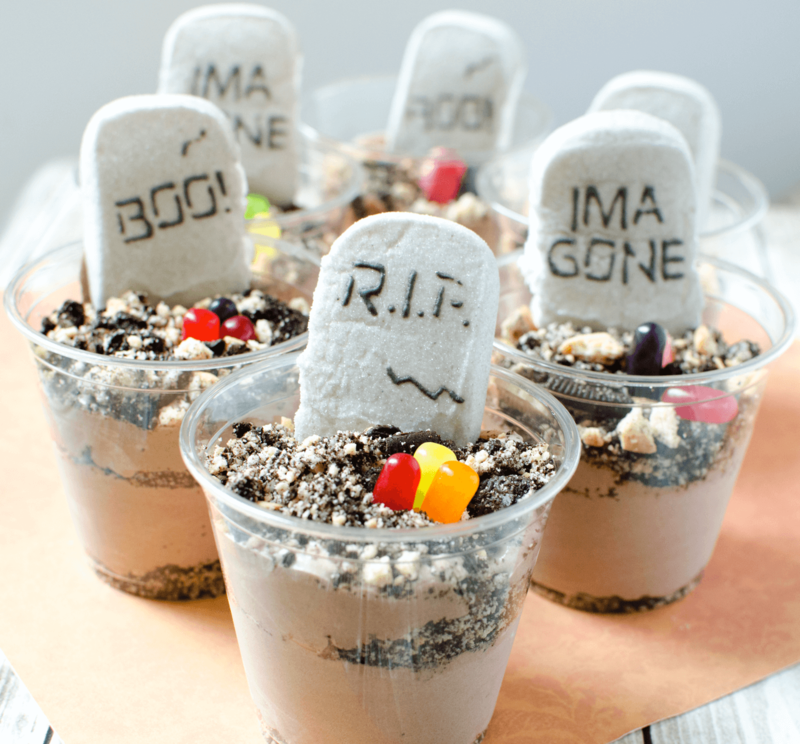 Offer your guests these enticing Tombstone Desserts for Halloween. 44. 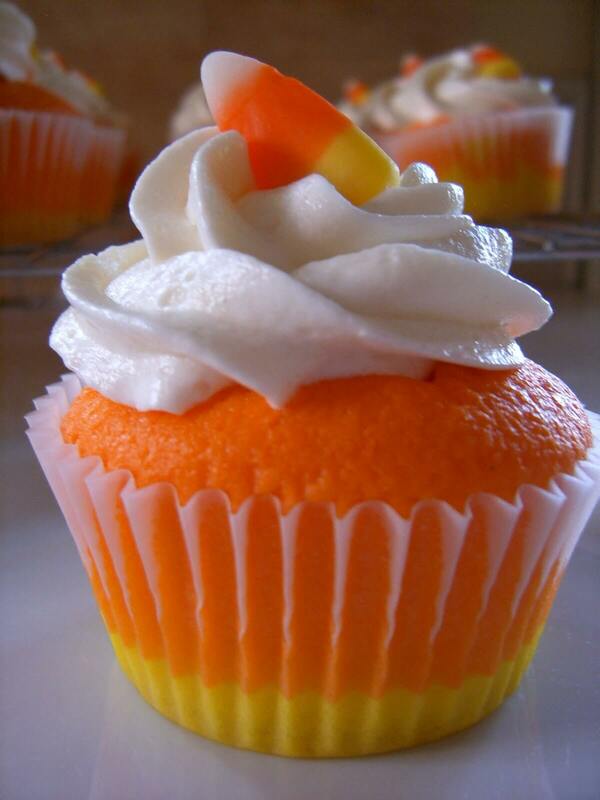 Make some delicious and Cute Halloween Cupcake for kids on this Halloween. 45. Frosty Halloween Pudding is a colorful and refreshing recipe for a Halloween. 46. 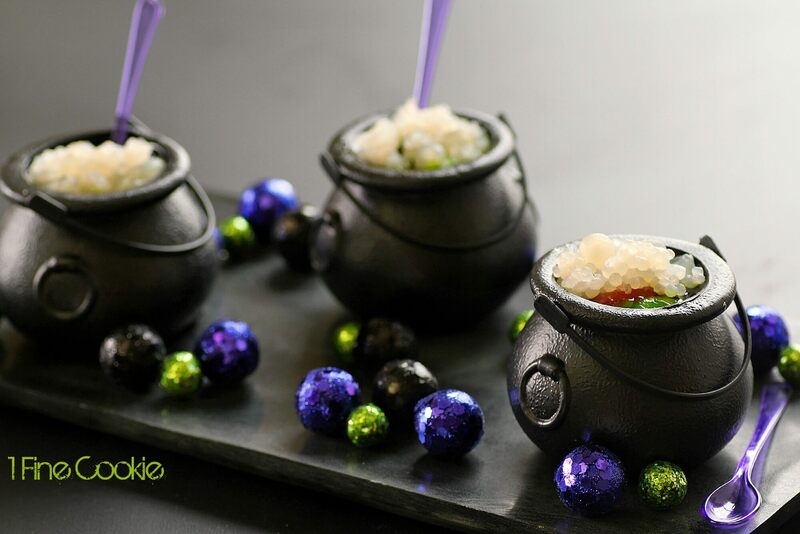 Witch Jello Shot Dessert is a striking and stimulating drink for Halloween. 47. 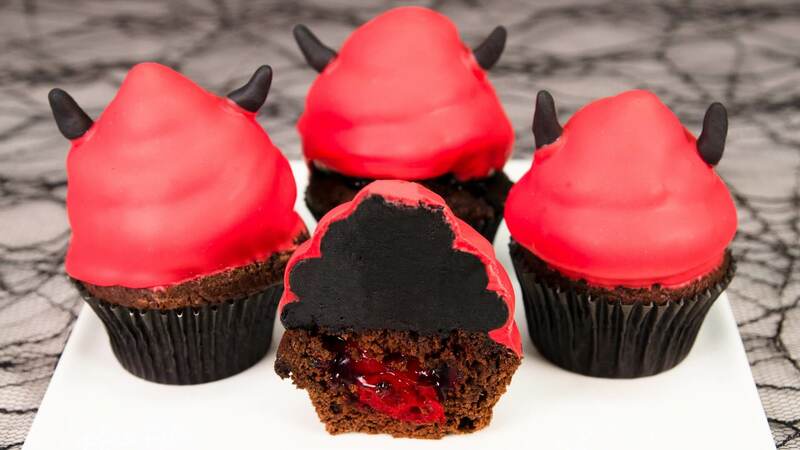 Devil brownie brings an entertaining appearance to your Halloween Platter. 48. 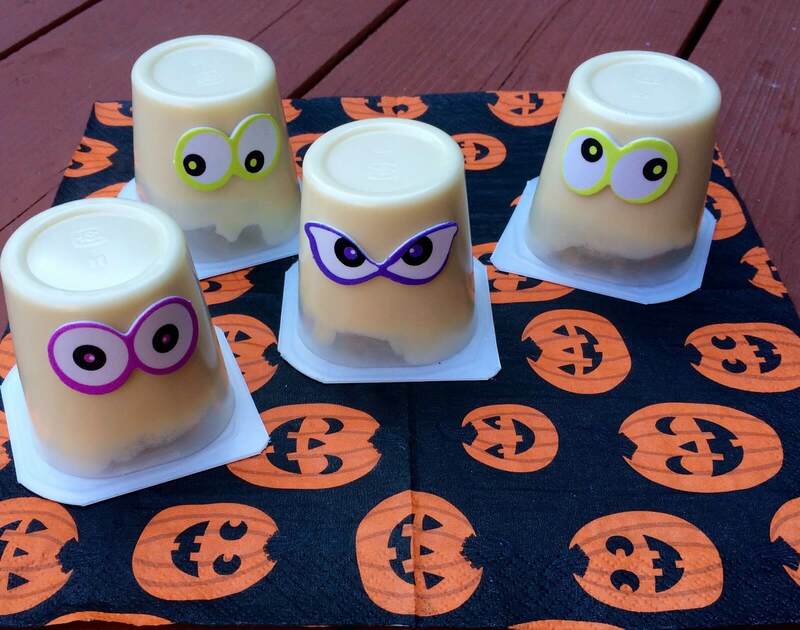 Snack Pack Ghosts treats is an easy way to prepare a last-minute Halloween food idea. 49. 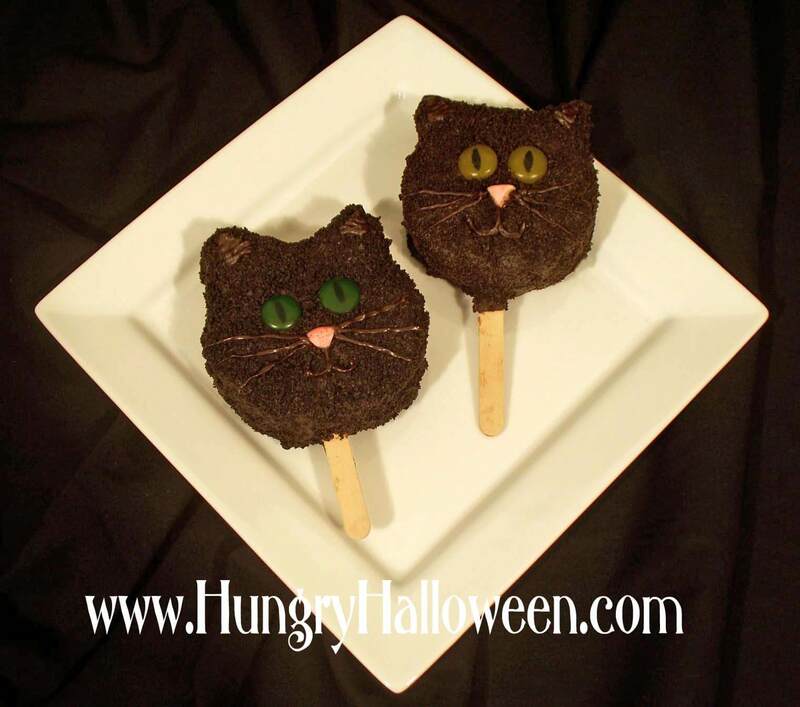 Black Cat Chocolate Pop Dessert is a fun recipe as a Halloween food idea. 50. 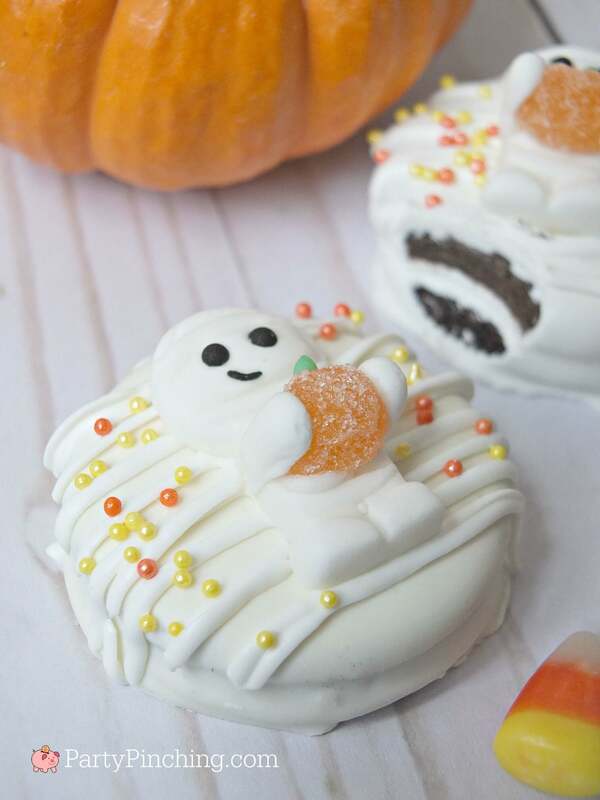 Ghost Faced Marshmallow Brownie Dessert brings a cute yet spooky appearance to your Halloween table. 51. 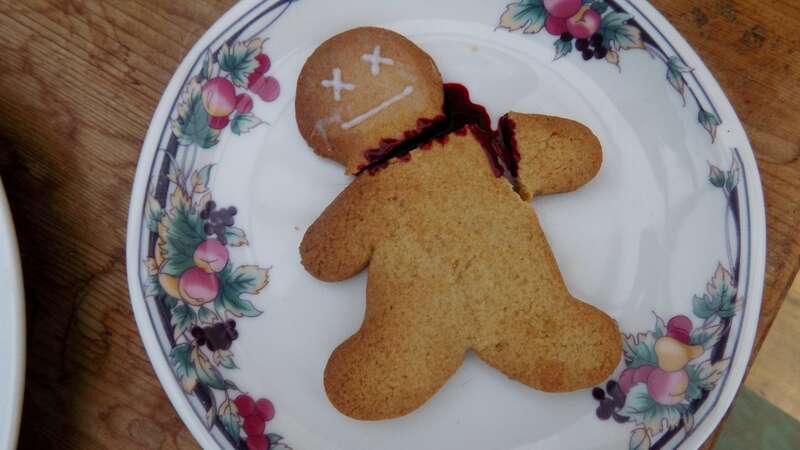 The severed gingerbread man is a simple yet a little gory recipe for Halloween. 52. 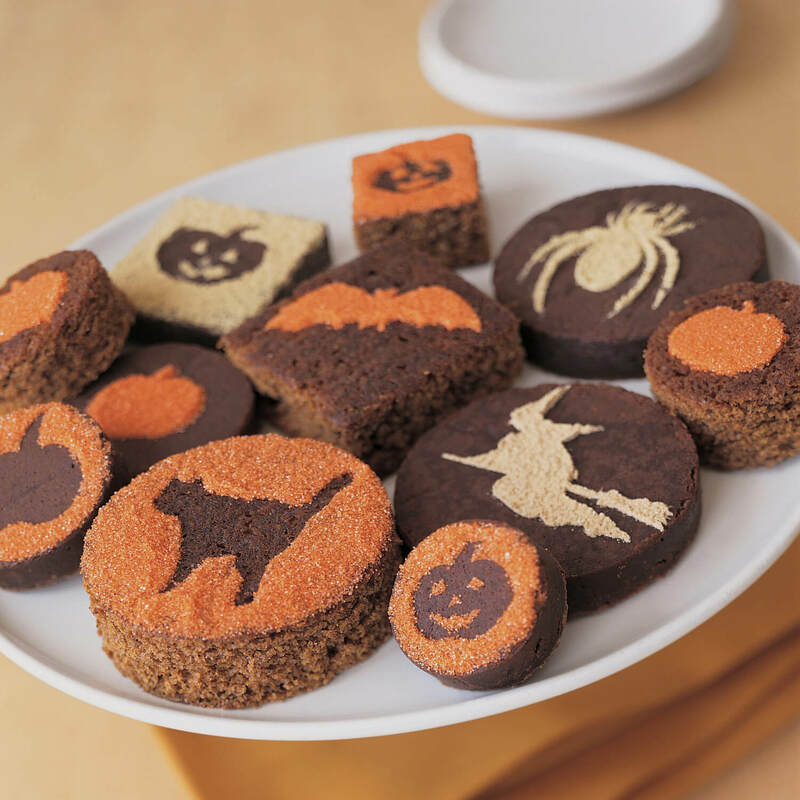 You can easily prepare a bat, cat, witch, spider and pumpkin Silhouette Brownies for Halloween. 53. 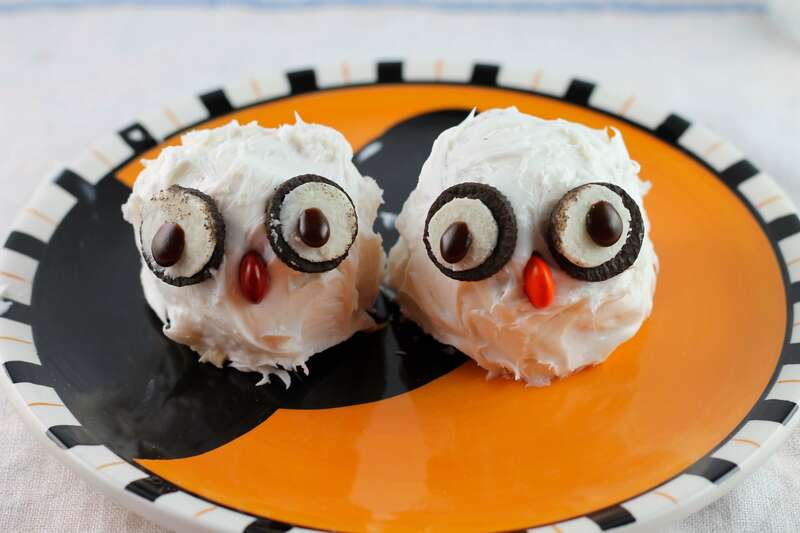 Bring some Cute Minion cookie to your Halloween Table. 54. 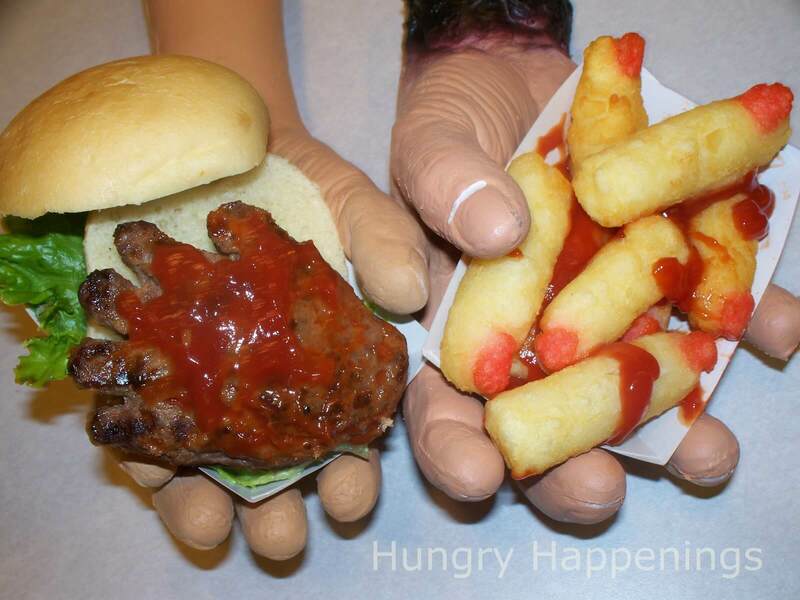 Hand-Burgers and Finger Fries is an enticing Halloween food recipe. 55. 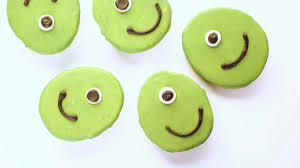 Boo-Ghost cookie looks pleasing and it brings an instant smile to your kid’s face. 56. 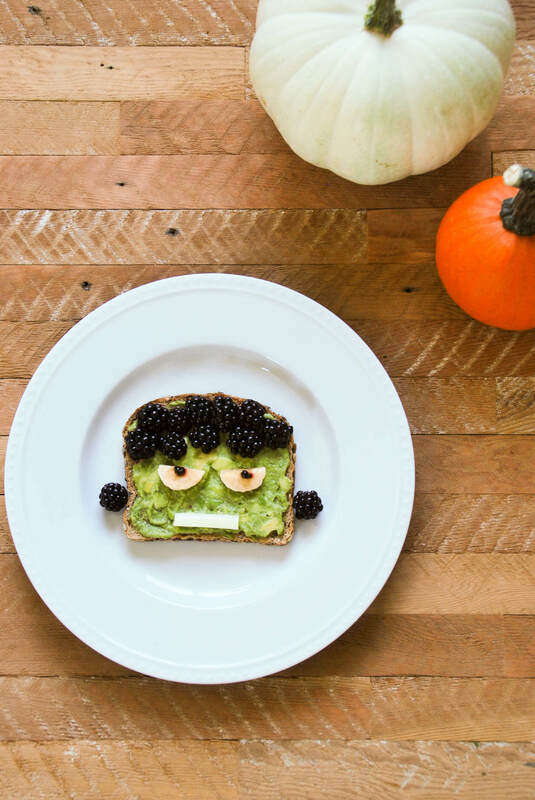 Prepare this easy to prepare and serve Monster Toast this Halloween. 57. 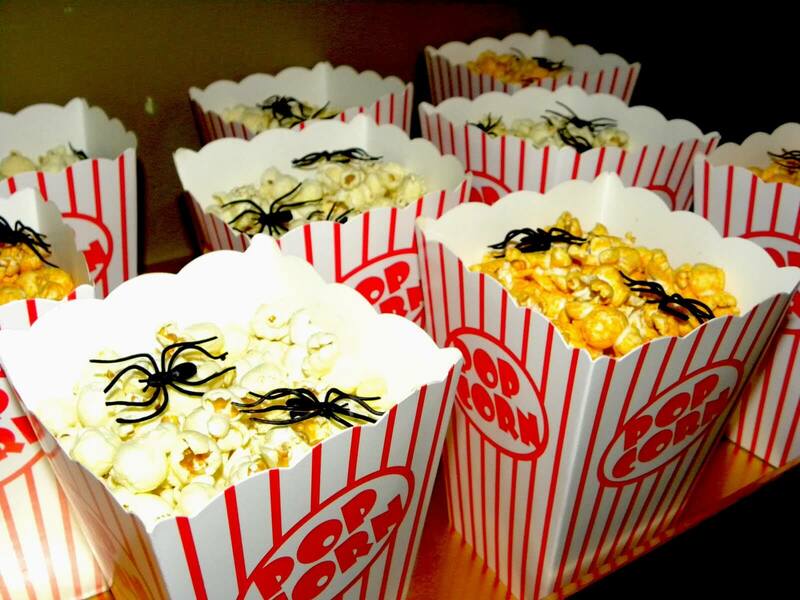 Serve your Popcorn with spiders and enhance the spooky quotient without any hassle. 58. 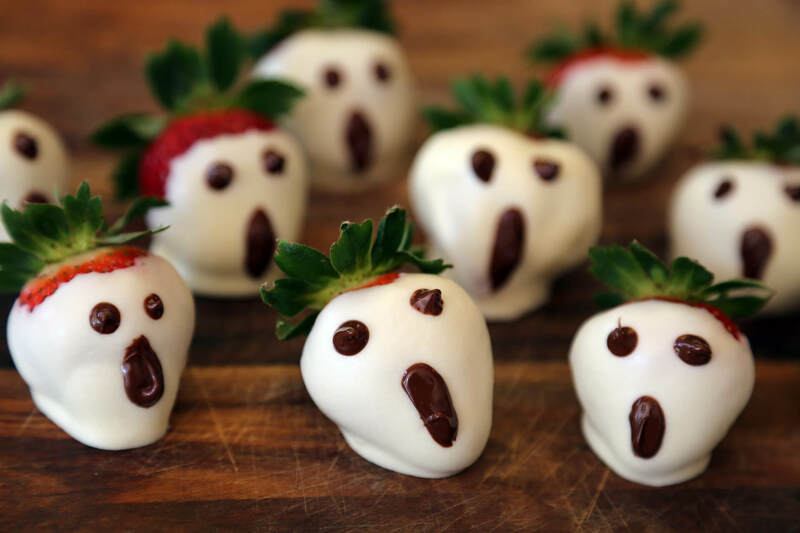 White Chocolate Dipped Strawberry is easy to prepare-recipe that adds grace to Halloween platter. 59. 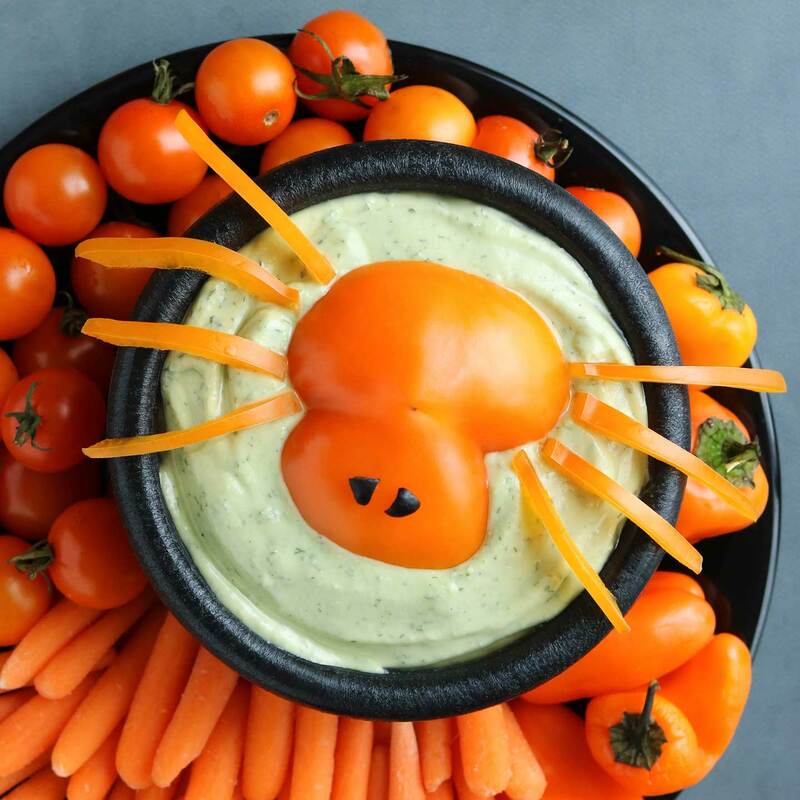 Add some Bell Pepper Spider-shaped Ranch Dip to your dining table to evoke the Halloween mood. 60. 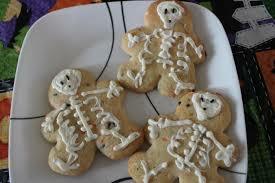 Funny skeleton cookie looks delightful and tastes yummy. 61. 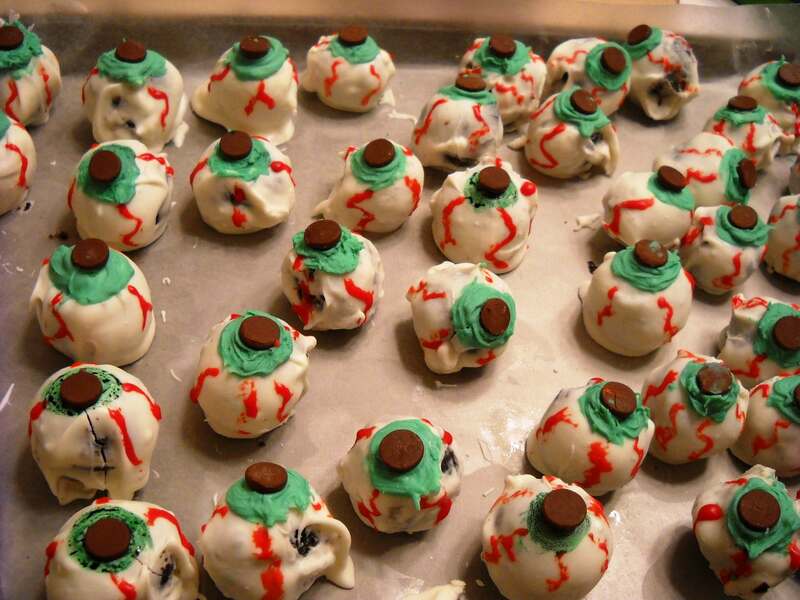 Bring home some oreo balls to prepare a simple yet compelling Oreo Eyeballs Dessert. 62. These adorable mummy cookies look cute on your Halloween Dining table. 63. 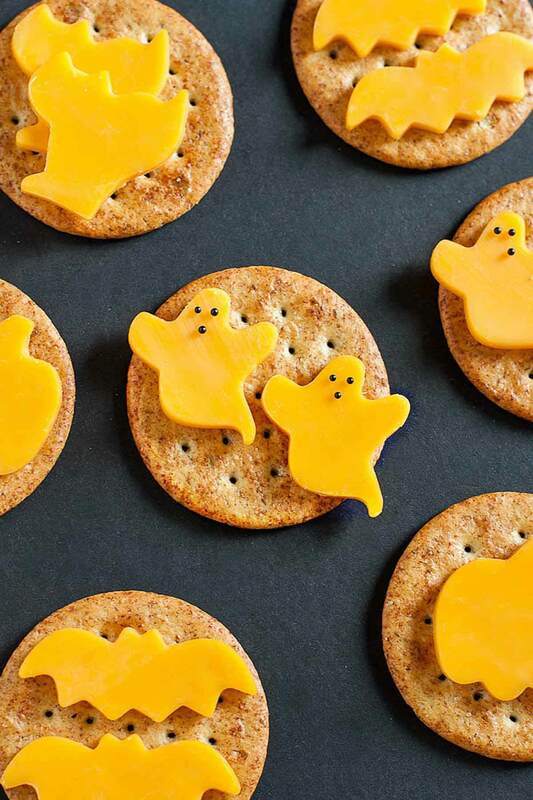 This Spooky Cheese Crackers Appetizer is one of the easiest recipes on the Halloween Food ideas list. 64. 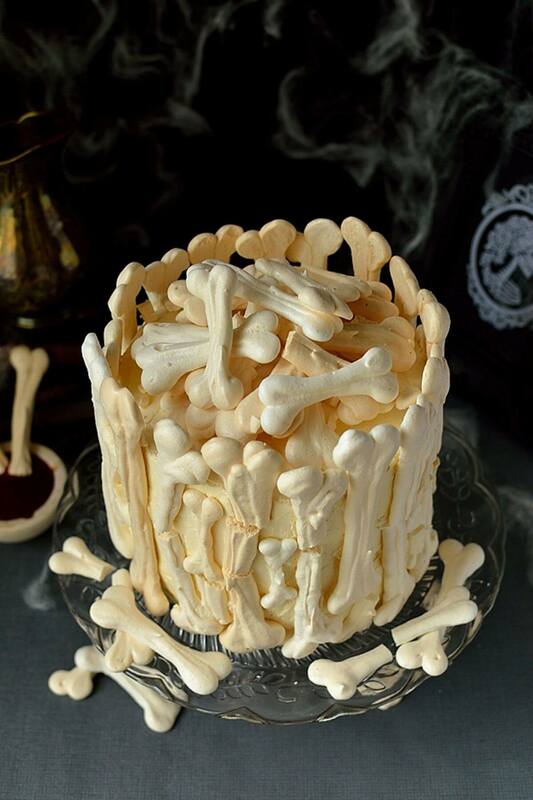 Place this Skeleton Bone Cake on your coffee table and you don’t have to think twice about the success of your Halloween Party. 66. 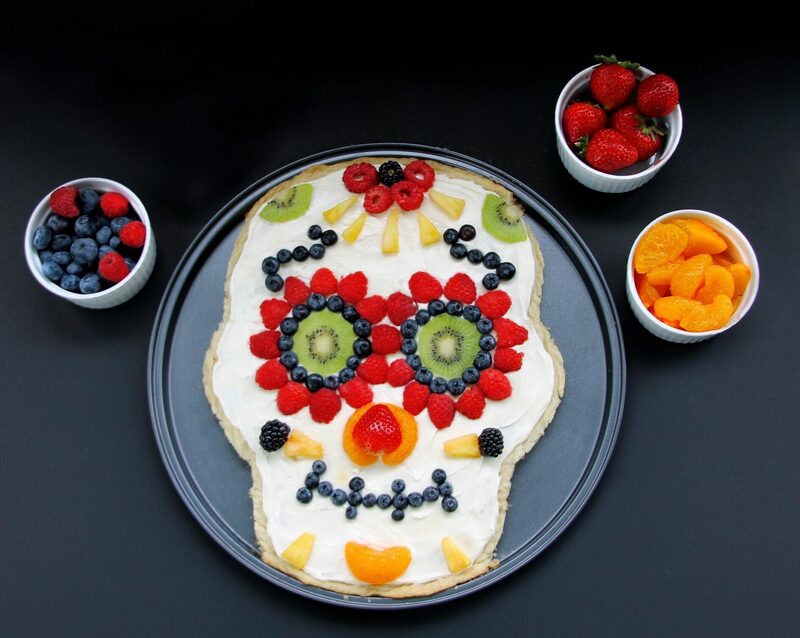 This tantalizing Skull Fruit Pizza is an exquisite addition to Halloween food recipes list for Halloween 2018. 67. 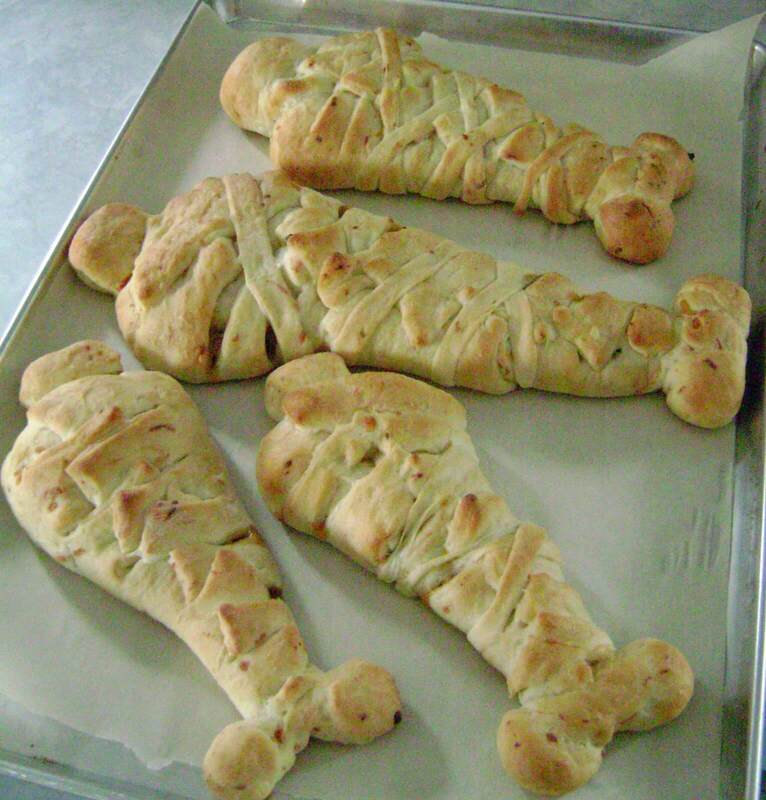 Mummy Bread is a simple, creative and delightful recipe for Halloween. 68. 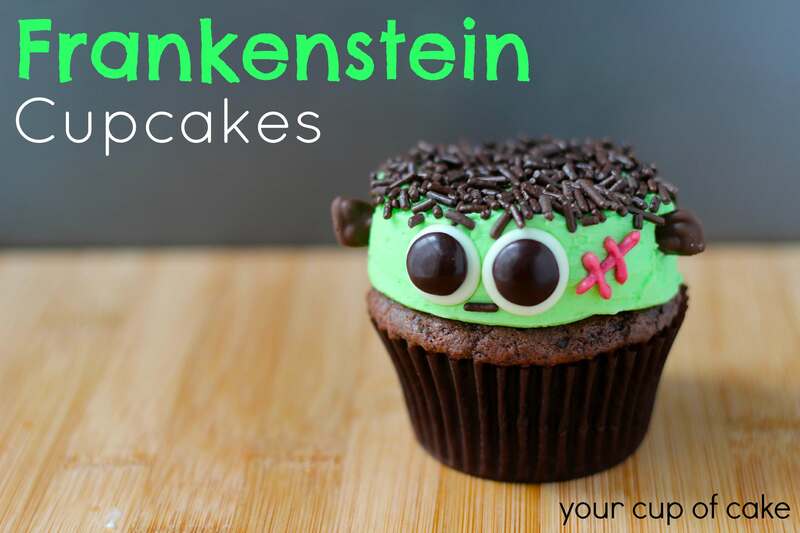 You just can’t miss the Frankenstein Cupcakes on Halloween. 69. 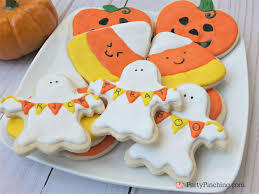 Happy ghost pumpkin cookies bring an enjoyable and pleasantness to a Halloween, particularly for kids. 70. 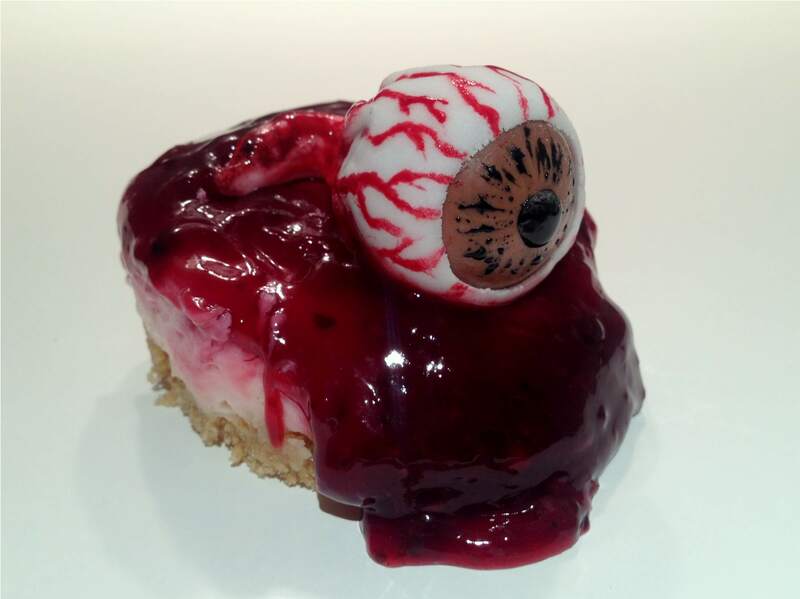 Eyeball blueberry cheesecake is a creepy recipe for Halloween. 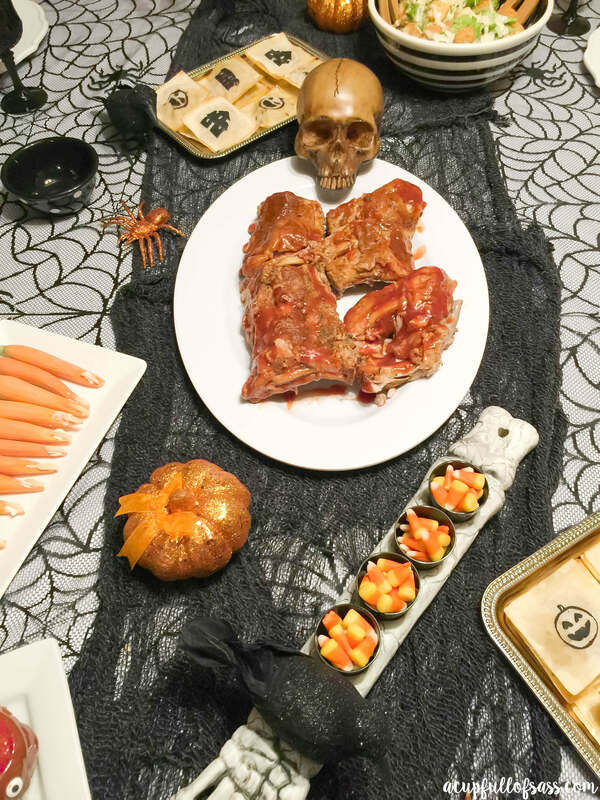 Did you enjoy our Halloween food ideas? Also, don’t forget to check our DIY Halloween Decorations & Ideas With Tutorials. Hope you have a great Halloween 2018! !